I don’t very often feature news in this blog, but this one is feature-worthy. 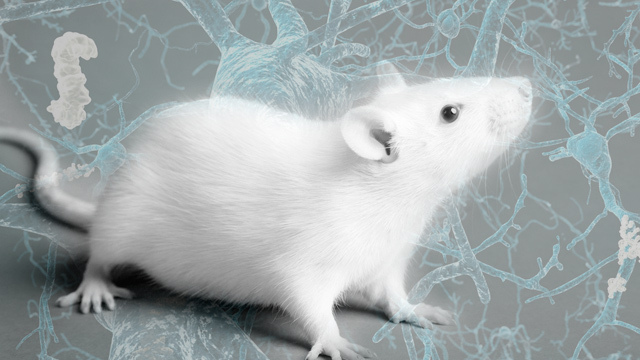 I woke up to the best news this week: Scientists reverse memory loss in mice with Alzheimer’s. As someone who has a family background of this illness, this is probably one of the better news ever. I am now itching to look up and read what they did with their gene therapy experiment. I am just overjoyed. I hope this paves the way for the development of a drug or a cure to Alzheimer’s. As much as I agree that pictures last longer, memories mean more. And this is just… amazing. Thank you for the good news, AFP and Rappler! GENE THERAPY. Spanish scientists injected a gene which causes the production of a protein that is blocked in patients with Alzheimer’s, into the hippocampus in mice that were in the initial stages of the disease. MADRID, Spain – Spanish scientists have for the first time used gene therapy to reverse memory loss in mice with Alzheimer’s, an advance that could lead to new drugs to treat the disease, they said Wednesday, April 23. The Autonomous University of Barcelona team injected a gene which causes the production of a protein that is blocked in patients with Alzheimer’s into the hippocampus – a region of the brian essential to memory processing – in mice that were in the initial stages of the disease. “The protein that was reinstated by the gene therapy triggers the signals needed to activate the genes involved in long-term memory consolidation,” the university said in a statement. Gene therapy involves transplanting genes into a patient’s cells to correct an otherwise incurable disease caused by a failure of one or another gene. The finding was published in The Journal of Neuroscience and it follows 4 years of research. “The hope is that this study could lead to the development of pharmaceutical drugs that can activate these genes in humans and allow for the recovery of memory,” the head of the research team, Carlos Saura, told Agence France-Presse. Alzheimer’s, caused by toxic proteins that destroy brain cells, is the most common form of dementia. Worldwide, 35.6 million people suffer from the fatal degenerative disease, which is currently incurable, and there are 7.7 million new cases every year, according to a 2012 report from the World Health Organization.